There's a cleaners' strike in Amsterdam again, so the trash in the Central Station isn't being emptied, nor are some of the trains being cleaned. On the floor at the front entrance was a leaflet from the cleaners' trade union trying to explain why. Actually that lead to a rather clever website with an animation from the trade union FNV explaining why they are working to rule. Tend to have more sympathy with the cleaners than NS. Dutch railways has really gone down in my estimation over the years, especially in the international ticketing. And when there's a slight hint of bad weather they switch to an emergency schedule. That's when I avoid taking the train altogether. Just spent a day wandering around the Integrated Systems Europe exhibition being held this week in Amsterdam. Actually, despite the boring name, it's turning out to be one of the most interesting exhibitions in a long time. It brings together people who make digital signage (outdoor displays to you and me), those who build interactive classrooms in schools, people who build home theatres in the houses of the rich and famous and those who light rock concerts. It's only slightly smaller than the IBC for broadcasters in September, and I confess many times more interesting. Why? Because the stand-holders are often the practical people out there doing stuff, not just sales people selling equipment. Because these people don't have a transmission network at their disposal, they have to try harder to get the message out. Done many video interviews for a presentation I have to give later in the month. Surprised to see the size of the ITV Anglia broadcast centre in Norwich, while passing by on a family visit. Since their production is a fraction of what it used to be in the heyday of regional broadcasting here, I'm surprised they haven't downsized their operations much further. 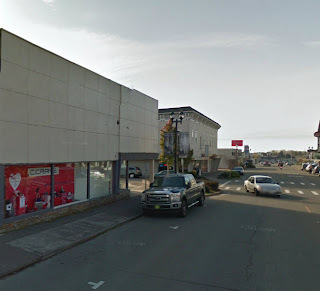 The wikipedia article implies they still have four studios there. They only make Anglia Tonight from here? Interested to see that Nokia is still doing great things with improving voice quality in their handsets. Would be great for radio reporters if you could plug in an external microphone. Shoving a mobile phone infront of a politician means you always lose in the scrum with competing stations. The demo to listen to comes in at 1'40". Enjoyed reading James Cridland's blog from a gig he attended last week in Leipzig. James always has interesting things to say about radio, usually from an original angle. Having recently done a couple of radio documentaries which delved into some other documentaries I made in the 80's and 90's, I reckon we now have the tools to make creative work about 3 times as fast as the days of two track, razor blade editing and the UHER tape machine. At the same time budgets in radio features are a fraction of what they used to be. A few companies, like ARTE are the exception, but they don't have to worry about audience figures (yet). There are still some delightful radio soundscapes being made. The biggest challenge I see is that they are not being archived in very clever ways, so often the context is missing. 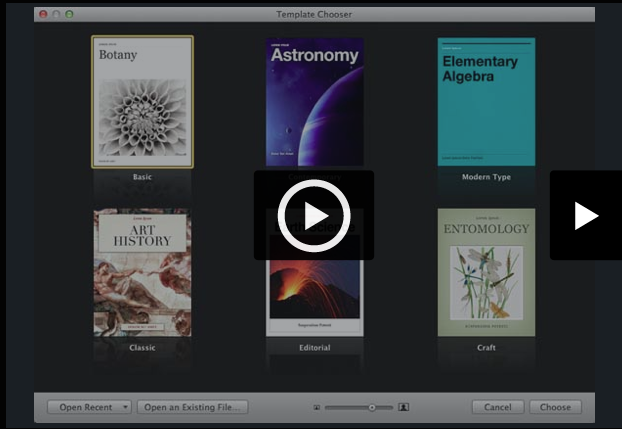 Those making radio features need to look at the publishing world and developments like Flipboard and the new iBook Authoring Tool (I mean the way the tool works - I'm rather less enthusiastic about Apple's walled garden approach to authorship rights). If you can compose truly multimedia productions, then imagine what could happen if a great radio feature maker teamed up with someone from Fotopedia? TV stations have catalogues of programmes they sell at MIp-TV in Cannes. But radio is poor at putting together catalogues of its works, so a lot of brilliant stuff is lost after it disappears from the podcast window. Perhaps we need to acknowledge that some of the best sound-scaping these days is done in promotions department of UK radio stations. Brilliant storytelling - at least on the examples I hear in the Earshot Creative Review. Don't worry. This is one crash that won't affect you. But it does affect me. While investigating why my HP computer bought in 2009 was gradually slowing down, I discovered that my Seagate hard-drive was on its last legs. I was even more surprised that the HP maintenance software, which is supposed to be computer model specific, didn't warn me that I needed to update the firmware in the hard drive. This isn't a new problem at all. I managed to copy off enough material before it finally died. I decided I could do with a faster machine. So I ordered a new computer via Coolblue in Rotterdam. They seem like an efficient lot. It arrived on Wednesday, 24 hrs after I ordered it- and promptly failed this afternoon. The infamous hard-drive "click of death" raised its ugly head. It won't boot, and it's not going to do so again. I notice HP has switched to Hitachi drives, but whereas my old computer had two hard drives of 750 GB, this one (same price bracket) had a single 1.5 TB drive. That's not really progress because if the single drive fails, it takes all your documents with it. 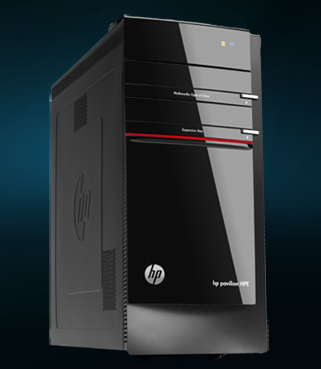 I note too that the HP line has gone back to DVD drives and dumped Blu-Ray. From a multi-media perspective, apart from USB3 ports, the new machine is actually a step backwards. I guess that when my second HP machine arrives it will probably be my last Windows Machine. Windows 7 is fine for my purposes. Do I want Windows 8 Metro functionality on the office machine? Not in a 1000 years! Wonder how long the new hard drive will last. Whilst the radiation from solar storms is indeed filtered out by the earth's atmosphere, I wouldn't want to be flying in an aluminium tube up at those altitudes when the solar wind does it's worst. CNN didn't over that story very well. The sun is only waking up after a period of inactivity. Wandered in for a while to the Netherlands Public Broadcasting New Years Reception. I thought it rather bizarre that the table at the entrance had cuts of meat on it and someone chopping and slicing things at the back, but apparently I was the only one who saw the ironic connection. It looks to me as though the NPO has not updated its mailing list in a while because few of the current influential politicians turned up to meet and greet. NPO Director Henk Hagoort lashed out at the politicians in the Hague of all political parties warning them that public broadcasting is for the public and decisions on programming are made in Hilversum, not the Hague. The problem is that many public broadcasters have become very distant from their audiences. Unlike the UK, the NPO has no NPO Trust where the public can at least have some input and influence on what they think of the programmes. There is no licence fee system anyone. It all comes out of general taxation. I describe it to foreign broadcasters as a classic case of government pay-TV. Some of the Dutch public broadcasters run a loyalty scheme based on the ancient idea that people want to become a member of a broadcasting organisation in order to get hold of programme details - mainly for TV. The problem is that these broadcasters do not represent all sections of society. And the NPS, NOS, FunX and NPO seem to be answerable to no-one. 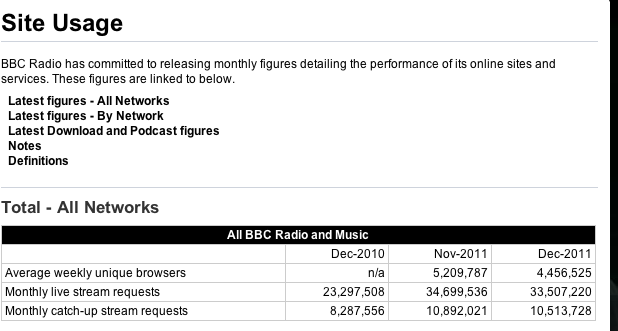 In his speech, Henk quoted a figure of 200 million streams being delivered in 2011 by the website "Missed the Transmission". Actually, that's not a lot of streams, since it only represents attempted streams that were started - not whether someone watched the programme all the way through. Only now has the audience research organisation started to issue the Internet stats on a daily basis - and the figures drop off dramatically after the top three shows. Listening to radio transmissions after broadcast is not given the same prominence. I see they have revamped the site radiocast.nl. at the same time removing the stats. Was it because they were embarrassingly low? They could take a leaf out of the BBC in this respect, who publish the monthly figures. Been analysing the attempts to get hyperlocal sites going in the Netherlands. The results are mixed. I think they contribute something to local news gathering in the East of the country (well away from Amsterdam, Rotterdam and Utrecht) but in the media city area of "het Gooi" the news is rather useless. This morning there came the news that a jeweller in Bussum had been robbed. But no details of what had been taken, or if there was anyone injured in the robbery were available. So what's the point? 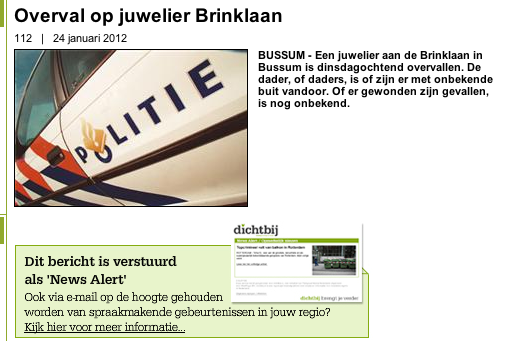 Has the street been closed so traffic cant get into Bussum? We're not told. In previous weeks they have posted video on Dichtbij.nl ( which means Nearby) but these are just raw pictures of police clearing up after traffic accidents (no commentary) and I don't see what it adds to the news story, except an element of voyerism. I cannot believe that local businesses really want to be involved. 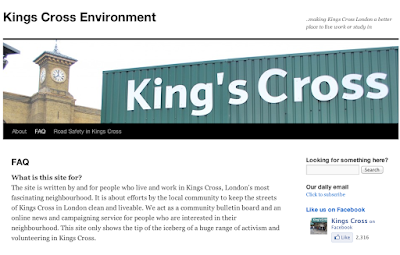 Compare that with the Kings Cross Blog in London which is run by the community, for the community, and attracts up to 500 readers a day. I'm sure they read it. I find it strange that the Dutch wikipedia has not organized a similar protest at the court decision in the Hague against the Internet access providers XS4ALL (pronounced access for all) and Ziggo. The action, brought about the copyright Foundation Brein, means that these providers have 10 days in which to block access to the Swedish Pirate Bay site plus a number of other domains and subdomains supplied by Brein. What concerns me the most is that the judge gave Brein the right to add to this list without having to go back to court again. XS4ALL says they will appeal. I'm not advocating piracy of content. But I do believe that the Brein Foundation has imposed an unacceptable level of control over what I can and cannot see. This is the same complaint that has closed Wikipedia in English today. This sets a major precedent. If Brein can do it, may the the rights organisations BUMA/STEMRA as well? In my eyes, BUMA lost all credibility following a corruption scandal last month. At least in that case the public broadcaster Powned did a piece of original investigative journalism and recorded a conversation between BUMA board member Jochem Gerrits and the lawyer of composer Melchior Rietveldt who claims BUMA owes him at least €1m in lost copyright fees. In the course of interview, Gerrits offered to raise the matter in return for keeping a third of the money to be paid out. It seems incredible that the Dutch government is able to grab some of the headlines with an international debate on Internet freedom held together with Google last year. Yet when a judge in the "city of justice" as The Hague likes to promote itself, passes this ludicrous finding there is no comment from the government at all. 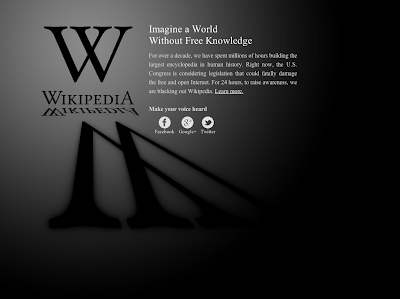 Nor press or media attention on anything like the scale we're seeing about SOPA. It negates most of what was in Rosenthal's speech speech last May. The silence is doing a lot to destroy the guarantees that Holland has been dishing out of Internet freedom if you host your content on servers in the Netherlands. Bizarre in the extreme. I'm furious! I love connecting the past with the present, especially as everything is often new again. In the days when I hosted a wireless show for Radio Netherlands, we often featured medium-wave listening from the powerhouses like Radio Luxembourg to the rare stations which were only logged under very quiet solar conditions or during DXpeditions to the Arctic. If you click on either of those two links you can listen to or download those programmes right now. But I digress. While travelling in the States I picked up the great General Electric SuperRadio II (photo above) which had a superb set of speakers on it and a great receiver inside. And all for under US$50. I paid 39 bucks for it at a discount store in Virginia. If you have one, hang on to it. If you want to know more, check out this excellent link to David Moison's site. It was produced from the late 1980's until 1994 when it was replaced by the (less good) Superradio III. They were all made in China to a US spec, but I never saw them in Europe. Perhaps because the sets never did longwave or that the mains power was integrated into the set and was only 120 volts. But that didn't matter to me because the other thing about it was that the batteries lasted for ever. My set lasted for 15 years until the dial cord snapped out of sheer wear and tear and I didn't have access to David's site to know how to fix it properly. I hope Joe's Radio Page will forgive me for lifting their photo. When the Superradio disappeared, the only serious contender that came anywhere close was produced by a northern Californian firm called C.Crane. They modified radios made by Sangean and came up with a series of very sensitive AM sets, which also perform well on the 2 metre ham band. I have one of the early versions. 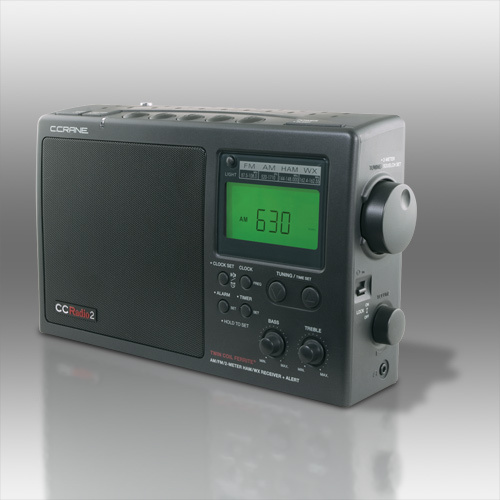 The price has come down to 150 US Dollars and they say they have tweaked the CCRadio-2 for better AM performance. I lost touch with the company but remembered the name when they were popped up at CES 2012. Seems they are still around, operating out of an unassuming warehouse in Fortuna, in the wilds of Humboldt County, California. Leo Laporte interviewed them on his tour of one of halls and it was then I discovered their fascination with long-distance wifi. I travel a lot and often find the WiFi in the hotel to be less than satisfactory. 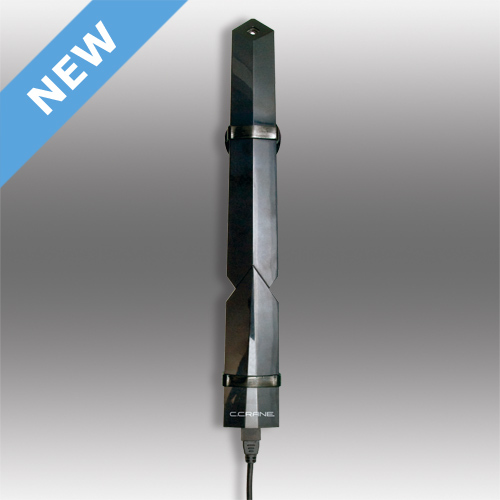 C Crane make a USB WiFi antenna which plugs into a Mac or PC laptop and vastly improves the reception (and therefore the throughput) of the WiFi. It hang over a curtain rail with a lanyard or you can use suction cups to fix it to a window. The antenna costs just under 110 dollars and comes with a split USB cable, so if you have two USB ports on the computer you can get even better reception by using both. There are also circumstances where it would be useful to connect two buildings with wifi. C Crane also sell a kit which can connect buildings up to 5 km away - the range really depends on the local terrain. If the antenna's can't see each other, then forget it. 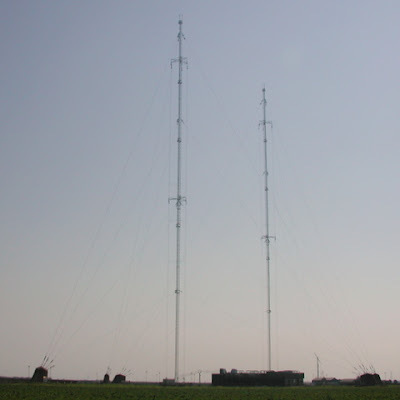 Their preconfigured set up costs around 300 US dollars including the directional antennas shown above. I remember reading last year about the roll out of free Wifi at Starbucks in the UK, following a trend in the US and Canada. Yes the coffee is outrageously expensive, but you can get out the iPad or the MacBook Air and catch up with e-mails or check the website of the next destination. The idea of free WiFi is still alien to most Dutch hotels, even though Amsterdam and the surroundings is bidding for more and more business from the creative industries and hosts major media related exhibitions like ISE and IBC. Starbucks came late to the Netherlands. The first store opened in 2007 inside Schiphol Airport, expanding to 5 premises in the airport premises. The next step was to expand to locations at train stations. Three popped up in Amsterdam, one each in Leiden, Den Haag, Utrecht, and Groningen. Late last year Starbucks arrived at Hilversum station, billed as Holland's Media city although we're still waiting to find out the long-term ambitions of the city council. Time to try out a Chai Tea Latte. And a muffin. And the WiFi. Ah, no. "You can't have a WiFi code because we don't have WiFi! " says the Starbucks server with a smile. Why not? Because the building is owned by Dutch railways (NS) and they have done an exclusive deal with KPN Hotspots who charge ordinary customers 1.15 Euros for 15 minutes of connection time. What most people don't know is that if you have an Internet account with providers like XS4ALL or KPN, access to 1000 of these WiFi hotspots in the Netherlands is actually free. I know because I found the text buried on the third page of the KPN Hotspots website. That would apply to me. Except that there's no WiFi signal in the Hilversum Starbucks that my iPad can detect. It's WiFi- free rather than free WiFi. Oh, well. When will it change? The store manager says he hopes the contract will be changed by the end of 2012. Until then, the KPN Hotspot seems to be at the snack bar round the corner in the station foyer. Believe me, you don't want to get out an iPad anywhere there. How will SOPA impact foreigners? At the Consumer Electronics Show in Las Vegas last week, several techblogs highlighted legislation being discussed in the US Senate and the House. There are three pieces of legislation in fact, the Stop Online Piracy Act (SOPA), the Digital ENforcement Act (OPEN) and the Protect Intellectual Property Act (PIPA). If passed, they give the US government and corporations the ability to censor the net, all in the name of protecting "creativity", they just have to convince a judge that the site is "dedicated to copyright infringement". The US government has already wrongly shut down sites without any recourse to the site owner. Under this bill, sharing a video with anything they believe is copyrighted in it, or what sites like YouTube, Vimeo and Twitter do, would be considered illegal behaviour. Because of the sheer volume of video being uploaded by the public, some providers like YouTube are already struggling with take-down notices from entertainment companies. They take down a video first, and then there's a long and complicated procedure before the video is restored...uploaders are guilty first until proved innocent. There have been cases where clips used as part of a fair-use policy in shows like TechNews Today have resulted in entire episodes being taken down. Other websites like Americancensorship.org have been set up to explain what's going on and gather support to oppose this legislation. The sad fact is that the fix being proposed won't stop downloading, but it does set a precedent for dangerous government and industry meddling in the way the Internet works. It stifles innovation, shuts out diverse voices at a point where other forms of legitimate downloading are starting to prove their worth. Apparently, some in Washington DC are beginning to realise what this means. On Saturday Jan 14th, Obama administration officials signaled that the White House would not support parts of the two bills. While we believe that online piracy by foreign websites is a serious problem that requires a serious legislative response, we will not support legislation that reduces freedom of expression, increases cybersecurity risk, or undermines the dynamic, innovative global Internet. Any effort to combat online piracy must guard against the risk of online censorship of lawful activity and must not inhibit innovation by our dynamic businesses large and small. Across the globe, the openness of the Internet is increasingly central to innovation in business, government, and society and it must be protected. Our analysis of the DNS filtering provisions in some proposed legislation suggests that they pose a real risk to cybersecurity and yet leave contraband goods and services accessible online. We must avoid legislation that drives users to dangerous, unreliable DNS servers and puts next-generation security policies, such as the deployment of DNSSEC, at risk. Let us be clear—online piracy is a real problem that harms the American economy, and threatens jobs for significant numbers of middle class workers and hurts some of our nation's most creative and innovative companies and entrepreneurs. It harms everyone from struggling artists to production crews, and from startup social media companies to large movie studios. The Whitehouse goes on to indicate it will host an online event to get more input. I wonder if that will include discussion of the recent case in the UK of Richard O'Dwyer, a student at the University of Sheffield who faces extradition for providing a site that linked through to US TV shows. So far the UK government has not commented. Whilst the Whitehouse statement has clear arguments against the proposed legislation, I am very concerned at the new legal tools being drawn up and described below. While we are strongly committed to the vigorous enforcement of intellectual property rights, existing tools are not strong enough to root out the worst online pirates beyond our borders. That is why the Administration calls on all sides to work together to pass sound legislation this year that provides prosecutors and rights holders new legal tools to combat online piracy originating beyond U.S. borders while staying true to the principles outlined above in this response. Victoria Espinel, Intellectual Property Enforcement Coordinator at Office of Management and Budget, Aneesh Chopra, the U.S. Chief Technology Officer and Assistant to the President and Associate Director for Technology at the Office of Science and Technology Policy, Howard Schmidt is Special Assistant to the President and Cybersecurity Coordinator for National Security Staff. The devil will certainly be in the details. If the BBC World Service or BBC World News is looking for subject matter to debate, then this is surely a great example where an global perspective is needed to resolve the problem. VC4Africa is one year old in its present form, though the idea has been around with co-founders Ben White and Bill Zimmerman for a lot longer. After experimenting with the ning platform, they (like me) were disappointed in the spam problem and decided to build their own platform. At a meeting last Friday they showed me all kinds of new features they are building for the coming quarter so they can tailor the functionality of the site to match the needs of both African entrepreneurs and investors. As bandwidth opens up on the continent, especially later in 2012, I'm helping the team with some experimental video projects. We're actually working from the premise that video isn't needed at all, unless it can add something to the story. Ben White recently gave a presentation which explained very clearly the thinking behind VC4Africa, why it's needed, how it's working with collaborative teams across the continent, and what's been achieved in such a short time so far. I confess to being very impressed by their ability to work WITH entrepreneurs rather than FOR them. This is turning sharing of expertise into a sustainable business model. Enjoy. Been looking at the US Consumer Electronics Show currently taking place in Las Vegas from the viewpoint of the traveller working in areas with poor mains power. Frankly, I am not so much interested in the OLED displays, even though they look spectacular. We don't know the price of these beasts and (TV’s are getting thinner to a point where they are too thin to connect quality cables!). 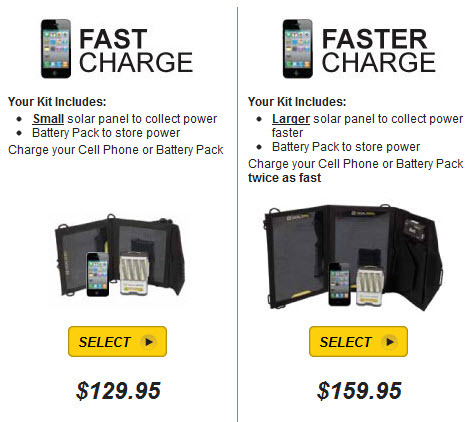 But I am really fascinated about at how solar power chargers have matured. 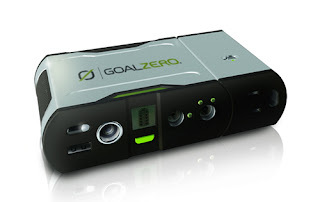 This Week in Tech carried and excellent interview with Joe Atkin from Goalzero.com. They are making very efficient 7 watt/hr solar panels about the size of an iPad which cost 99 dollars and will charge 4 AA batteries in 3-4 hours. That’s significantly better than the chargers I have played with recently at IBC in Amsterdam. The company is now 50 people and was originally set up to build relevant technology for a solar lighting start up in Kinshasa. These solar kits are interesting for the individual traveller. But I was also impressed by larger chargers that GoalZero are making, especially as they could be used by reporters working at radio/TV stations affected by natural disasters. Frankly, many of the solar battery chargers I picked up on a duty trip to Tanzania turned out to be pretty useless. They were too small and took the best part of the day in the blazing sun in Dar Es Salaam to charge some penlights - and then I wasn't confident that they'd done the job. However, I'm a bit more confident with the new Sherpa 50 portable re-charger, which weighs in at 408 grams and will easily fit into a back-pack. 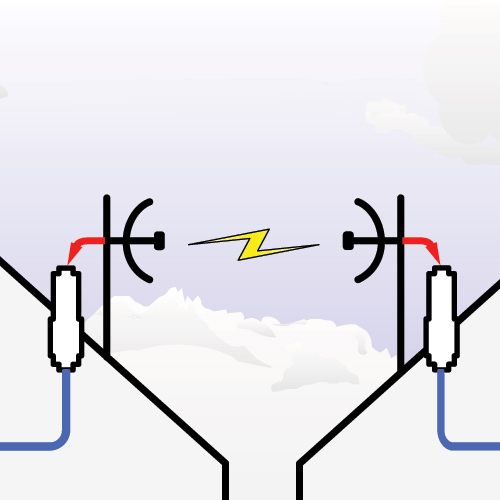 Whereas the 7 watt units mentioned above will recharge a phone, they are not large enough to power a laptop. That's where the 50 watt charger comes in handy. The Sherpa features a “Power Port” so you can charge laptops directly from the re-charger, rather than using a rather inefficient AC inverter which outputs at 110/220 V and then using the original laptop charger. 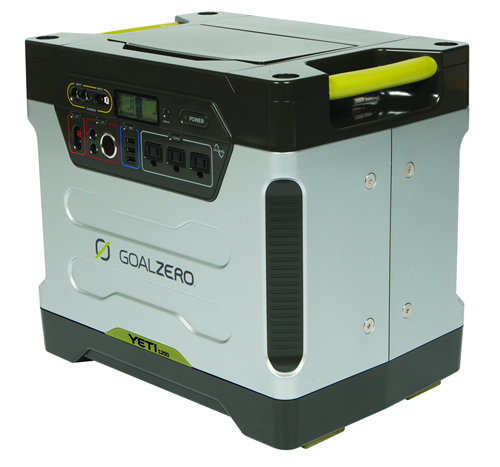 The Sherpa includes various connector cables that fit laptops and in addition to the “Power Port,” the Sherpa 50 offers DC and AC (with inverter) outputs if you do need mains electricity. They have upgraded USB power ports so they now produce 1A of power – enough to provide two extra hours of entertainment on an iPad or tablet device. The manufacturer says the Sherpa 50 charges fully via a solar panel in 5-10 hours (depending on the location) or within 2-3 hours via a AC wall outlet and can, in turn, power a smart phone for 10 hours; deliver 25 hours of usage on an iPod; and gives users a valuable, extra hour of life on a dying laptop when a traditional wall outlet is nowhere in sight. I'm thinking of using such a unit in East Africa, so I'm not worried about the lack of sun even if a monsoon hits. It is going to cost US$250 (without the solar panels) and will available as from June 2012. The final product in the range is considerably more expensive, but then it's designed to power a small production office for long enough to bridge most power cuts. At 47 kg it's not something you want to lug around in a suitcase. But it's a useful replacement for a small diesel generator and it's better because it is silent and it doesn't produce any more power than is needed (diesel generators waste power if they are not fully loaded). It's going to take around 22 hrs of sunlight to fully charge this beast, or just under a day if there is mains electricity. The Yeti is coming out in May 2012, either as a single unit for US$1500 dollars or with a set of solar panels and a carrying cart for US$ 2000. I helped review and enhance an excellent publication on energy sources for radio stations which came out last year. Written by Michael Bycroft, it is still available (the PDF version is free) in English and French from the CAMECO website, although I think it's rather tucked away unless you know what you're looking for. Tells you all you need to know about alternative energy sources that are relevant for African radio stations (and small businesses). Dramatic? Memorable? Nail-biting finish? Er no....shows they are not really prepared. 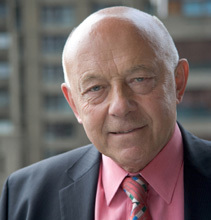 I confess I don't understand the outburst on recent edition of the BBC Radio 4 programme "World at One" by John Tusa. He seems to think that a tiny piece of advertising on the Berlin relay on BBC World Service (where currently promos for programmes are slotted in) is somehow a threat to the editorial independence of the World Service. Former BBC WS MD John Tusa may be correct in that the Berlin relay won’t raise much of the 3 million pounds that BBC World Servce radio is trying to raise this year to partly offset the drastic budget reductions announced nearly a year ago. But for years, ads alongside BBC World Service radio output have been heard on many stations that partner with the external broadcaster. Some stations insert their own commercials at 29 and 59 minutes past the hour when London carries programme promos. That's common in Africa where the local stations need to generate revenue because they are not subsidized by the government. Infact these countries will probably never be able to finance the public service broadcast model that survives in parts of Europe, like the UK, Belgium and Germany. But what's wrong here? Are the radio presenters and editors in London aware that this is happening? Even if they are, do the adverts have any bearing on the editorial decisions being made in Bush House - and later this year in Broadcasting House? No. BBC World Service has always been looking for ways to supplement its income by charging some stations that can afford it. Stations in the US pay a fee to Public Radio International to rebroadcast programmes from BBC World Service. Companies can also sponsor these relays as PRI is happy to explain on it's website. Again, these activities don't have any bearing on the editorial content coming out of London. Mind you, none of this is new at all. I recall a clip from the very same John Tusa broadcast by Media Network on January 22nd 1988 (yes almost 24 years ago) in which there were definite plans to make money out of content - he even quotes a figure of how much money they thought they could earn. The clip is only a few minutes by the way. 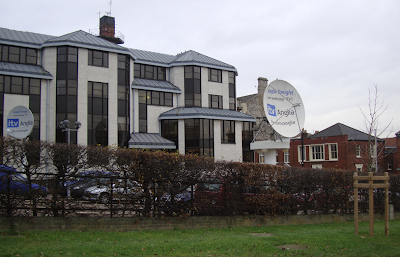 Also note that this was the point at which cable systems in the Netherlands switched off their relays of BBC 648 kHz in favour of a satellite feed. 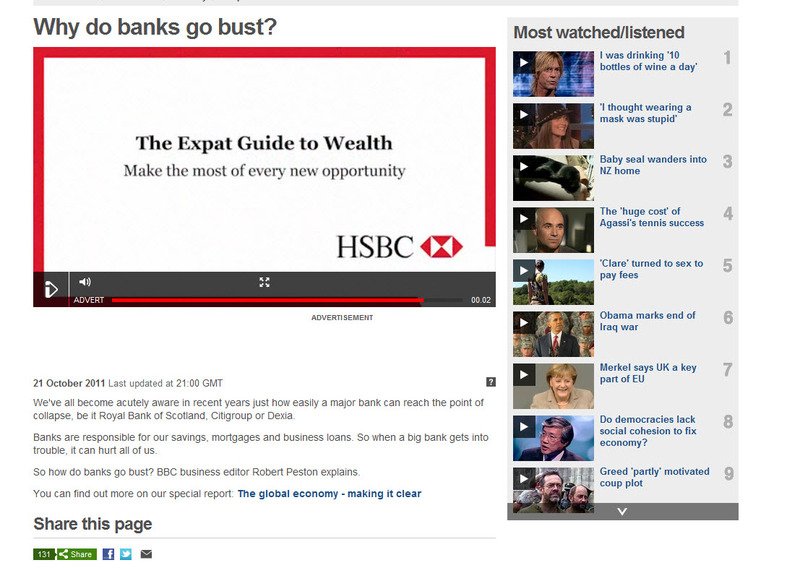 There are some interesting variations in order to squeeze in commercials into the output from Bush House. There has been a MW relay in Auckland, New Zealand of BBC World Service since the late 1990's. It is run by a local group of enthusiastic fans who have developed a clever system to raise money to cover their running costs. The automated system puts the feed on BBC WS into a buffer. They carry 2 minutes of ads at the top of every hour and then play back a slightly sped up version of that hour of programming from London squeezed into 58 minutes. Sounds fine to me. Lou Josephs in Washington DC reports that many small stations in the US use the same trick of time compression on satellite syndicated shows so that they can squeeze in local commercials. They call it a "cashbox". I am far more concerned about the 15 breaches last year by their TV channel BBC World News of the BBC's editorial guidelines. This was reported by the BBC Trust back in November. BBC World News buy in programmes made by production companies who are making disguised PR rather than independent investigative journalism. Nobody seems to be checking that thoroughly enough. I will be curious to see the coverage of the Consumer Electronics Fair in Las Vegas this coming week by BBC World News programme "Click". This is one of the feature programmes that is happy to accept what the BBC terms as sponsorship. I watch it regularly and can't say I haven't seen evidence of advertorials. So far, Click is much better than the Channel 5 Gadget Show because I feel it explores my interests as someone actively working in technology. In contrast, The Gadget show is a festival of sponsored pieces designed as a marketplace for manufacturers and retail outlets such as Curry's and PC World. It's well crafted, but I don't find it useful. It has such a narrow focus on "fashionable stuff" which culminates in ludicrous competitions, showering one winner with 170 sponsored products after they have called an expensive number to be part of the contest. 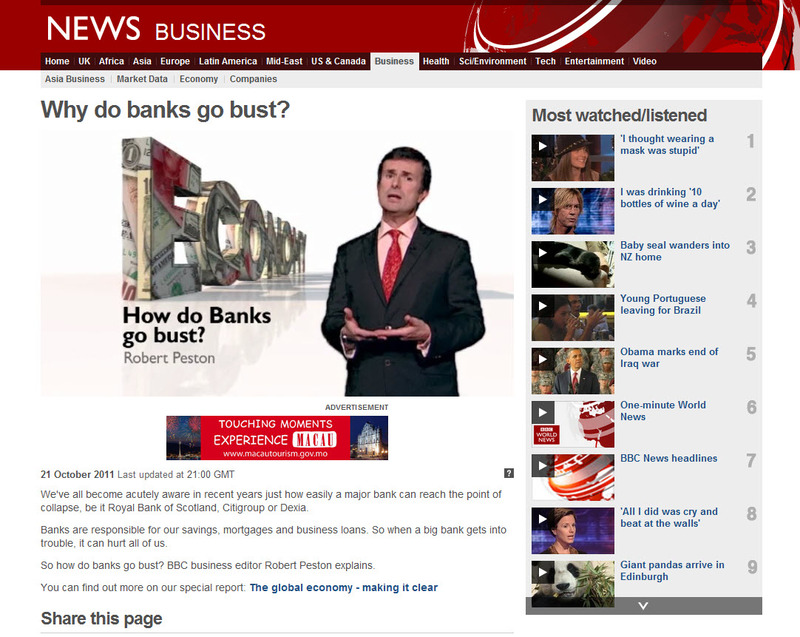 My trust in Click and other BBC World News features would evaporate if there was any commercial editorial bias. I would be worried that the show is also shown on public channels like BBC One and BBC News. I'm sure other viewers would interpret that as breach of trust and that will spill over into their trust of BBC current affairs programmes and investigative documentaries in general. Don't forget you have a situation where BBC World Service radio also has a show called Click (formerly Digital Planet) which is not sponsored and which in-fact it is a completely different programme to its TV namesake. I personally see more potential with ads on their websites, especially if they make cross-medial websites that mix general BBC entertainment content with the news output. They could be far more creative with their embedded player than resorting to the tedious pre-roll ads before every clip. 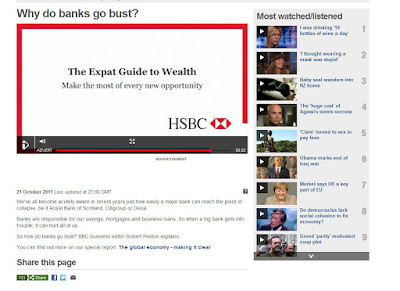 There have been far too many cases recently where bank ads for HSBC have preceded another doom and gloom report by Robert Peston about banker salaries or the Euro crisis. Now that really is mixed messaging. 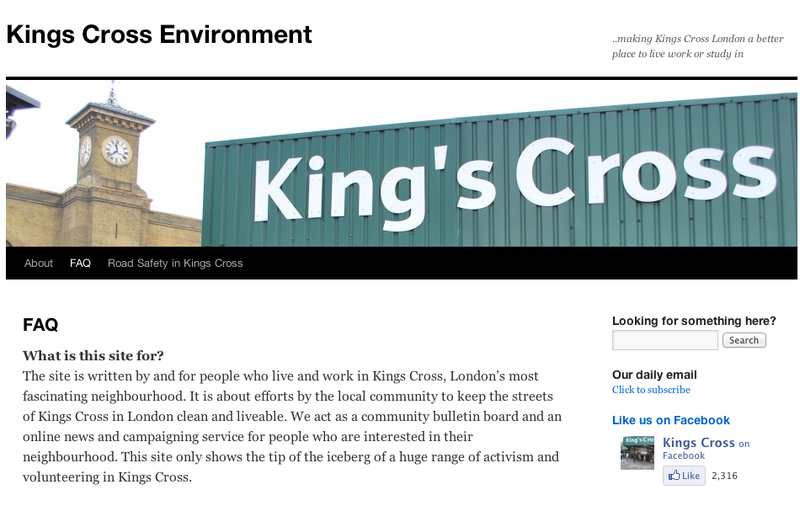 And I guess that editors in London never watch the outside-UK version of their site. Must confess I do not have any sympathy at all for the "fact" that PR people supposedly have a stressful job. In my experience, the "stress" is vastly overcompensated. So what was the purpose of the article? I strongly disagree with the stress rating, especially if we are really talking about investigative journalists ( and not translate-adapt-and publish webposters). Thanks to Mike Barraclough who tipped me off about a curious app in the iTunes Store. 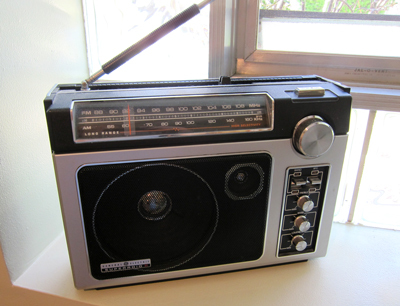 It's called Retro-Fi and it transforms any audio source playing on your iPad into an AM radio station. So if you're listening to a podcast in the Safari browser or listening to music via iTunes or Spotify, activating the app puts the sound through a filter, adds a bit of fading, static and just a smattering of co-channel interference. The result sounds pretty authentic. You can adjust the levels of interference until it sounds just right. Why would you want this 99 cent app? 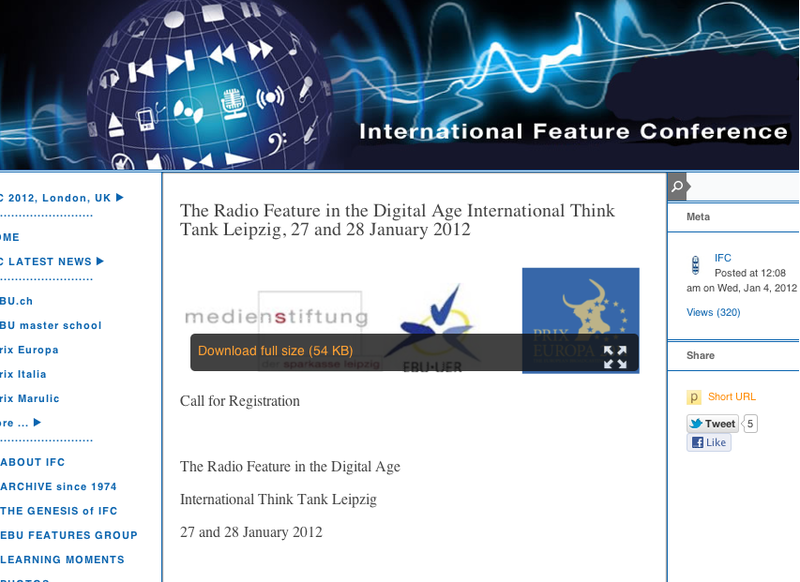 Well I need it for a video I am making on the change from analogue to digital radio. It is brilliant! 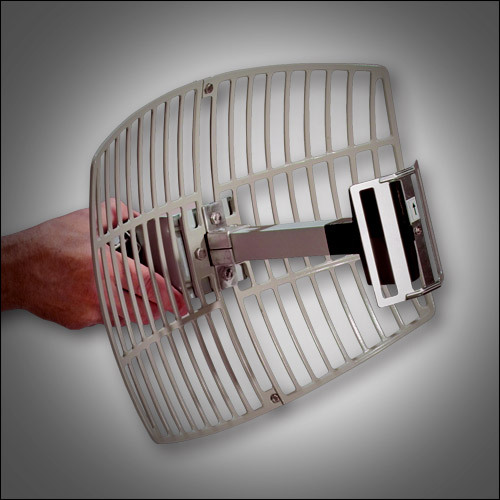 It's also pretty good at demonstrating to others what AM radio used to sound like - for those who no longer own a long-, medium- or shortwave radio. 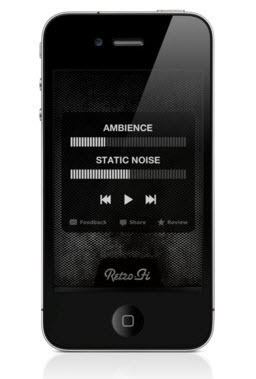 If you're a hi-fi enthusiast, you won't understand this app at all. Just got another fix of the fantastic pictures covering the rest of the Universe taken with the Hubble telescope. I head off for the site every time I need to put an earthly crisis into perspective. So who says this is our last spin around the sun this year? Many people point to the end of the Mayan Long Count calendar on Dec. 21, 2012 as evidence of the coming apocalypse, but astronomers have been quick to stress that there is nothing to be concerned about. According to the ancient Mayan calendar, next year’s winter solstice marks the end of a 144,000-day cycle. This cycle, which begins at the mythical Maya creation date, has already been repeated 12 times. The 13th will end later this year, capping a full 5,200-year Mayan cycle of creation. I do think the scientists need to do more to debunk the pseudo-science I keep seeing on my TV screens and in Facebook.